For a beginner gardener, there’s much to think about. What seeds to choose, to dig or not to dig, and very importantly, how to choose the best spot for your garden. Your first criteria when choosing a garden site is sun. Vegetable plants generally require full sun. That’s a minimum of 6 – 8 hours of sun per day throughout the growing season. A few vegetables will grow in partial sun (4 – 6 hours of sun per day). 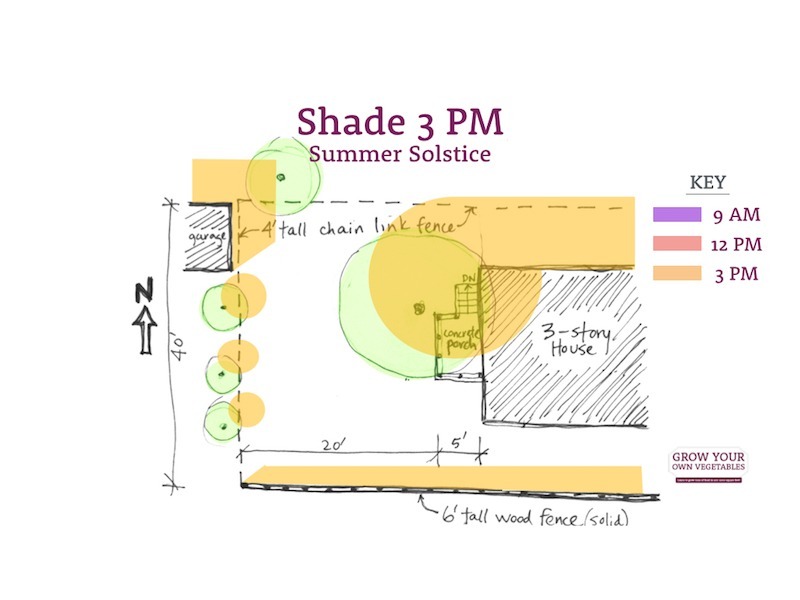 An easy way to determine how many hours of sun your yard really gets is to measure the shadows. Get your science cap on, you’re going to be collecting some data here. Don’t worry, though, the process is really easy. 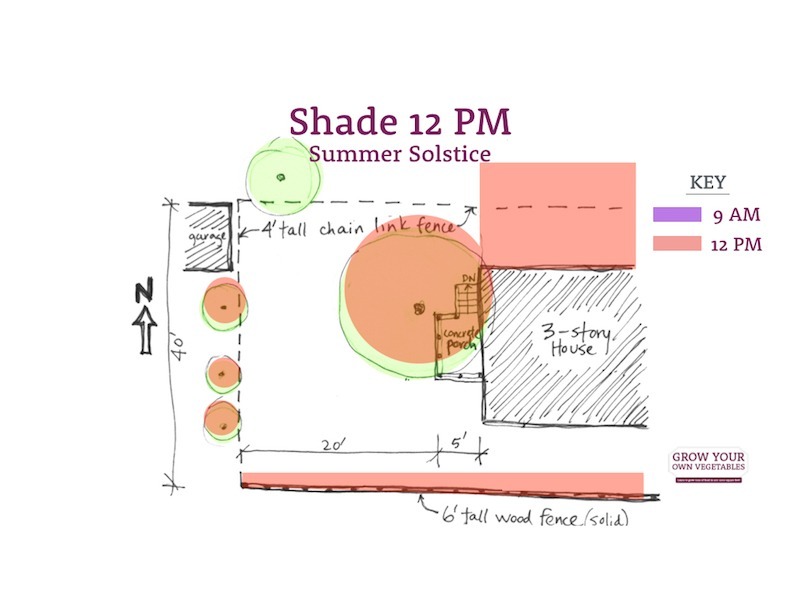 I learned this method of tracking shadows from Brooklyn’s Backyard Farmer, Stacey Murphy. 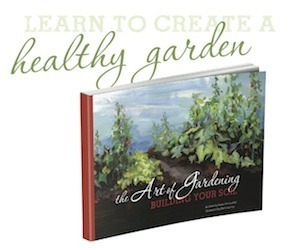 Stacey is a garden geek, and an expert at helping beginner gardeners grow lots of food in small spaces. Heck, I’ve been gardening for 43 years and I’ve learned a thing or two from her. Stacey has trained thousands of growers all around the world to get the most out of their gardens. And right now, she is teaching a complimentary 4 part video workshop series. 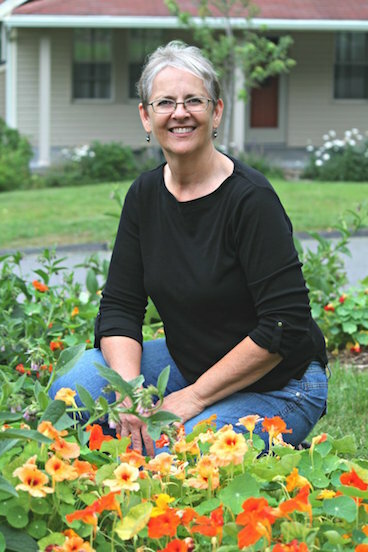 In the first video, she shares the one thing that successful gardeners do differently. Stacey is so inspiring, and she makes it simple and rewarding. If you want to maximize your vegetable garden, then this may just be one of the most important video series you’ll ever watch. Sign up right here. The first step in tracking shadows is to draw a map of your site as close to scale as possible. Include buildings, fences, bushes, trees and any other features, like ponds or streams. 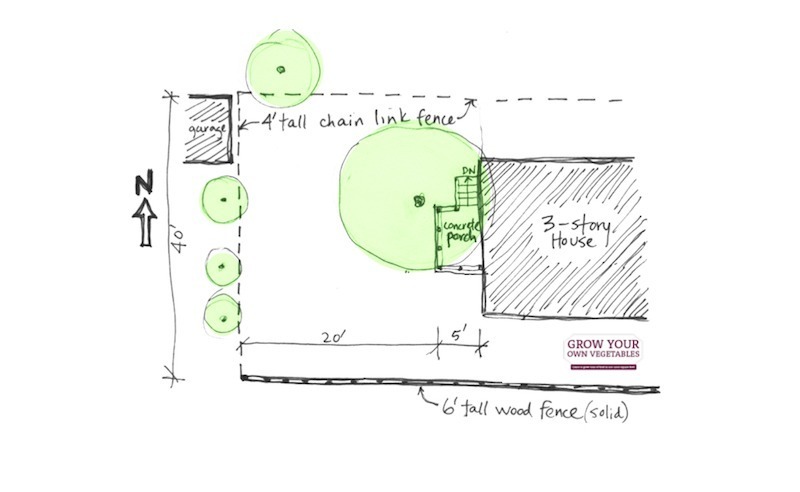 Draw a dark circle to show the size and placement of tree trunks, and a larger circle to represent the leaf canopy. Color in all bushes and trees with a green colored pencil. 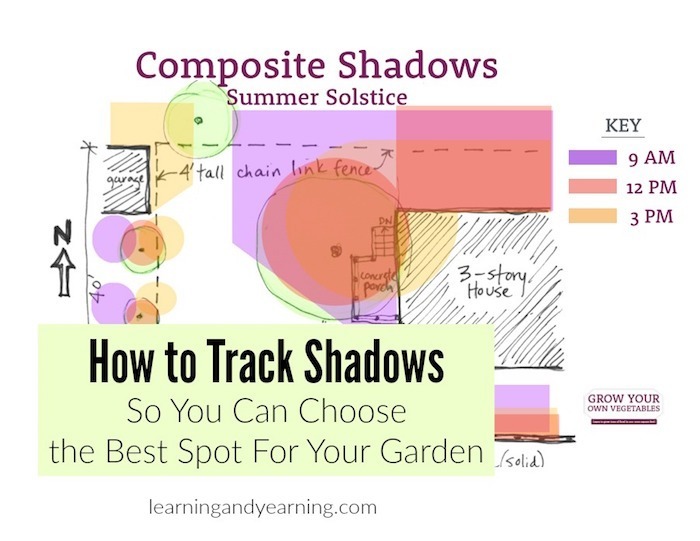 Ideally, you’ll be tracking shadows so you can choose the best spot for your garden on at least 3 days throughout the year – March 21st, June 21st, and September 21st. If you are interested in winter gardening, or live in a warmer climate, add December 21st to the list as well. Because the position of the sun changes, every day of the year is different in terms of shadows. This exercise, however, will be quite effective and only needs to be done the 3 times a year I’ve mentioned. It may seem that shadows would be the same on the spring and fall equinox because the sun’s angle is the same, but they may differ because foliage on trees will be different. On each of the dates I’ve mentioned you’ll need to go out and observe the sun and shadows every 3 hours. At minimum make observations at 9 a.m., 12 p.m., and 3 p.m. Adding 6 a.m. and 6 p.m. will provide even more data. You are going to use colored pencils to record your findings. Choose a different color for each time you go out to observe. 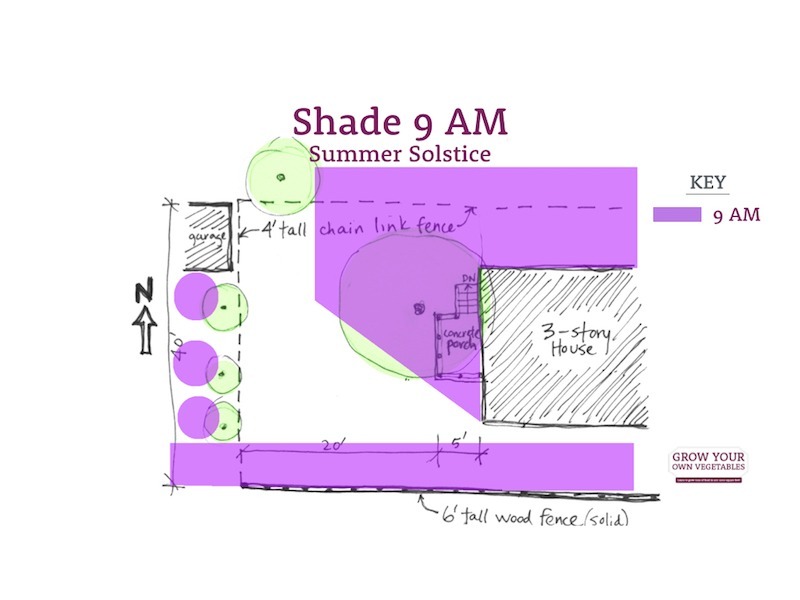 Go out at 9 a.m. and observe the shadows and use a colored pencil to record the shadows. Be sure to record the time and color you are using. Do the same at 12 p.m. in a different color, and then again at 3 p.m. in a third color. After you have completed this task, you will notice white areas on your paper. 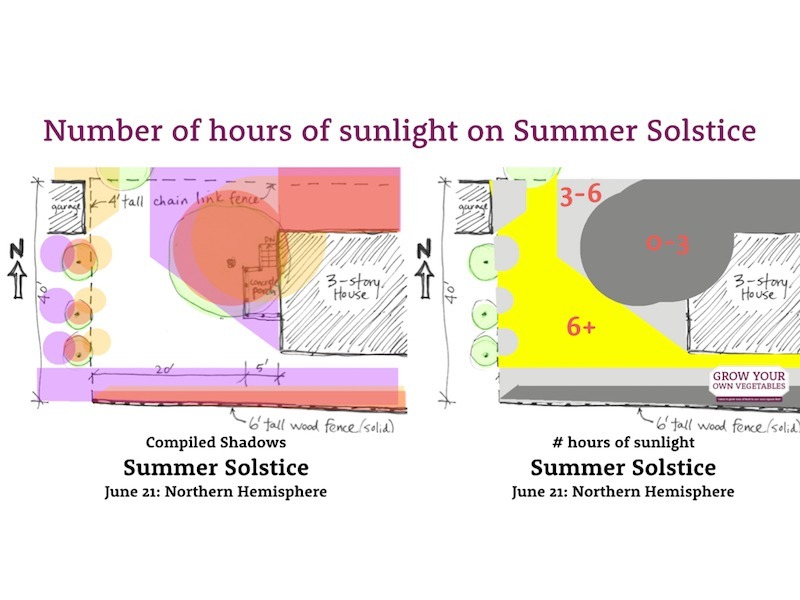 Those are the areas that clearly receive at least 6 hours of sun per day. You’ve found your garden spot! Of course, there are other factors to consider when choosing the best spot for your garden. You wouldn’t want to plant in an area that is always wet, for example. I love your depth of experience! I have so much to learn. Thanks for these drawings and sharing so much detail in this post. Wow! I never knew this was a thing! Pinned. Thank you so much for sharing! I’m passing it on to my mom. She’s a gardener and I know she will be happy to have this information. Great article, one more tool to my belt. It’s the first time I come across a way to track shadows. Thank you! This is so cool! Love the graphics too. Excellent article. I have also found that I wait one year when I have moved to a new place to identify plants and sun patterns before I plan gardens and buildings. That one year time allows me to work on the inside of my living space and the next year to work on my outside space. This way you can ensure the survival of a late bloomer that may be a heritage plant. Great tip, Meg; thanks for stopping by!